If you have to check standing products for impurities by means of X-rays and ensure the correct fill levels, then the models of the SC-S series are the perfect choice. These models follow a component design that enables an easy, space-saving integration with any existing production line. The side view scanner reliably checks cans, bottles, composite packaging, paper, or plastic containers. 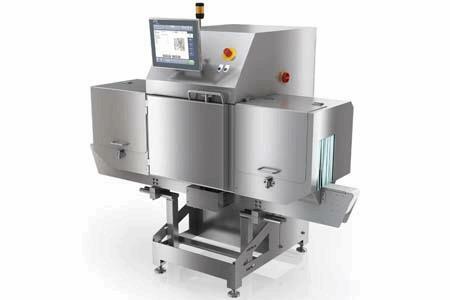 All of the X-ray scanners from OCS have the same familiar and convenient user interface found in the checkweigher line. Designed for protection class IP65 with full stainless steel construction, the system features a balcony design and sloped surfaces that, together with C-shaped product area, enable thorough cleaning quickly and easily.